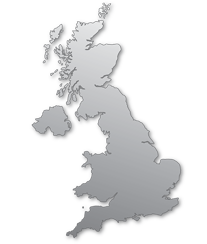 Over the years we produced and delivered thousands of our concrete ping-pong tables and picnic sets to various countries such as the Benelux, Denmark, Switzerland, France, England, Wales and Southern Scotland. Meanwhile a number of our tables are placed even overseas! Our products are well-known for their strength. “vandal-proof”, “undestroyable”, “much too strong”, are statements of proud owners of one or more ping-pong table(s) or picnic-set(s). We offer three different kinds of ping-pong tables. The classic rectangular model, or the model with rounded corners for safety reasons. Besides that we developed a big round ping-pong table with a diameter of 2.60 meter for you. Also our picnic tables are available in a variety of models. Call us, we speak English!